American Fiction of the 1990s: Reflections of History and Culture brings together essays from international experts to examine one of the most vital and energized decades in American literature. 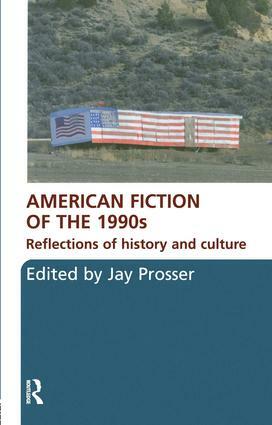 This volume reads the rich body of 1990s American fiction in the context of key cultural concerns of the period. American Fiction of the 1990s examines texts by established authors such as Don DeLillo, Toni Morrison, Philip Roth and Thomas Pynchon, who write some of their most ambitious work in the period, but also by emergent writers, such as Sherman Alexie, Chang-Rae Lee, E. Annie Proulx, David Foster Wallace, and Jonathan Franzen. Offering new insight into both the literature and the culture of the period, as well as the interaction between the two in a way that furthers the New American Studies, this volume will be essential reading for students and lecturers of American literature and culture and late twentieth-century fiction. Contributors include: Timothy Aubry, Alex Blazer, Kasia Boddy, Stephen J. Burn, Andrew Dix, Brian Jarvis, Suzanne W. Jones, Peter Knight, A. Robert Lee, Stacey Olster, Derek Parker Royal, Krishna Sen, Zoe Trodd, Andrew Warnes and Nahem Yousaf.